Did you know the nursery rhyme Mary, Mary Quite Contrary isn't as cute as it sounds. This link has 3 versions explanations of the rhyme, none of which are very nice. On to my garden. It's doing pretty well. 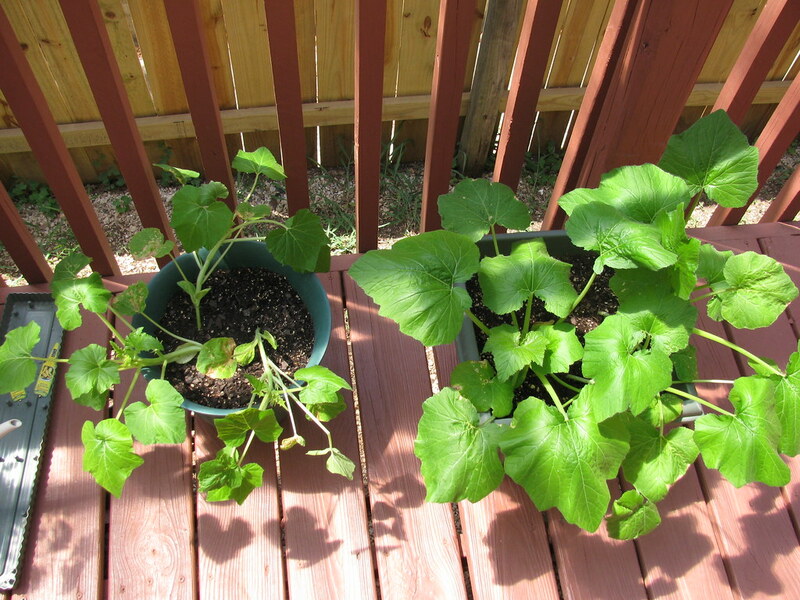 The squash (left) and zucchini (right) are doing great. They look like the have some flowers that may bloom soon. My tomato plants have gotten huge. 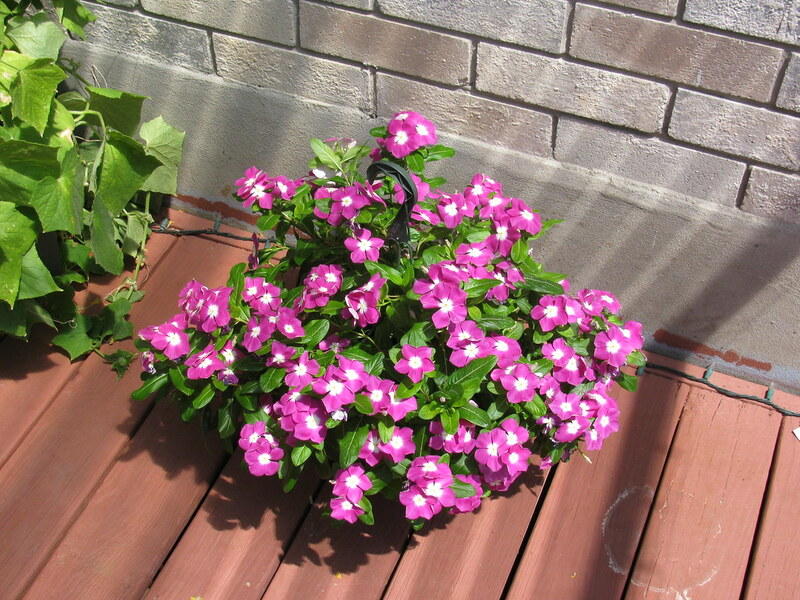 They were actually knocking over the trellis and I had to tie them on to the deck railing so they wouldn't topple over. I had to start giving away tomatoes because there were so many. By the looks of just this one plant I may have to do it again. 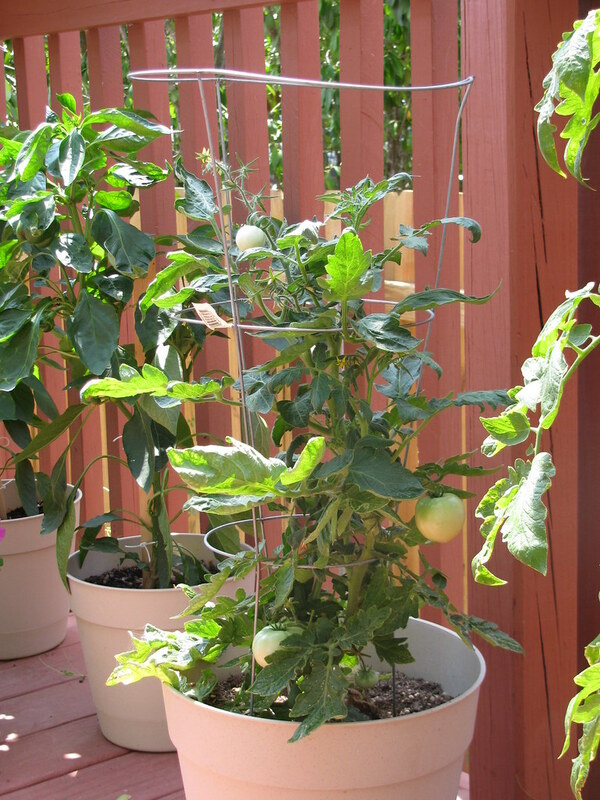 The smallest of the three has finally gotten taller and is almost reaching the top rung of the trellis. 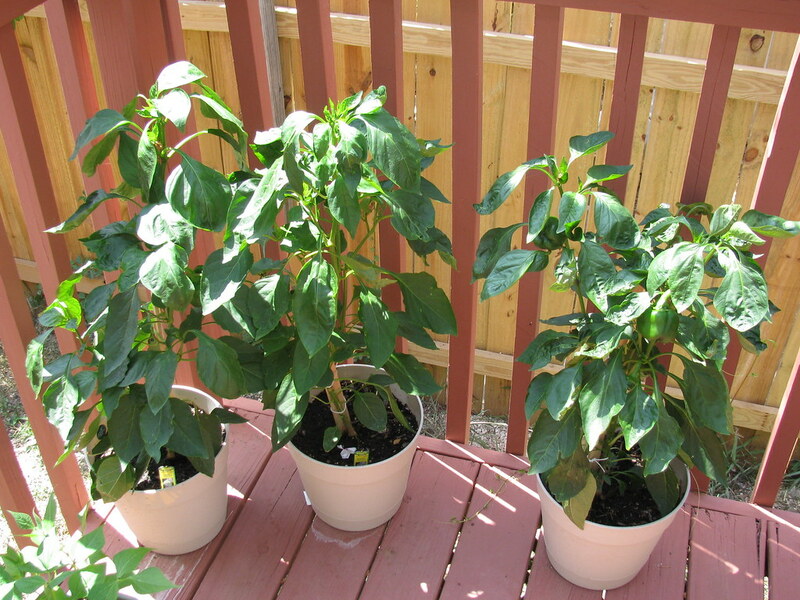 The pepper plants have been doing really well. They've grown in height as well. 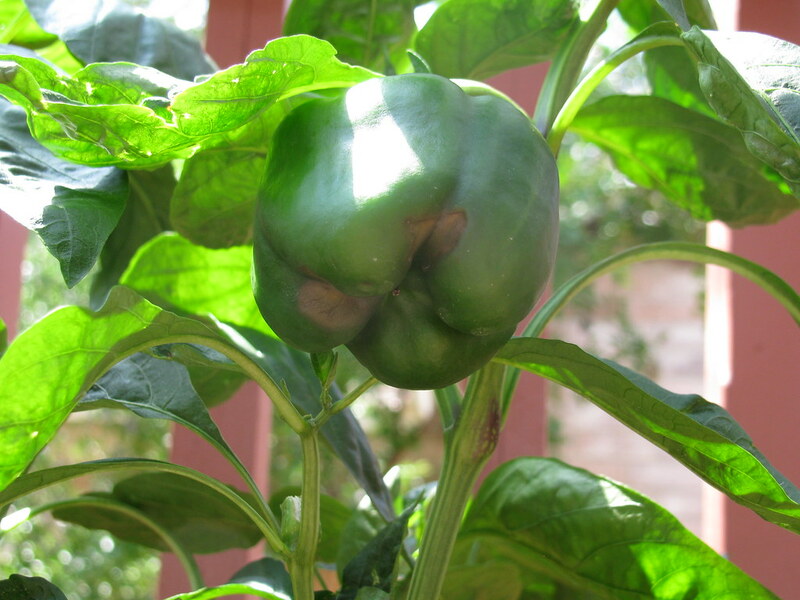 I've picked a few full grown peppers, but the latest ones seem to have this problem. 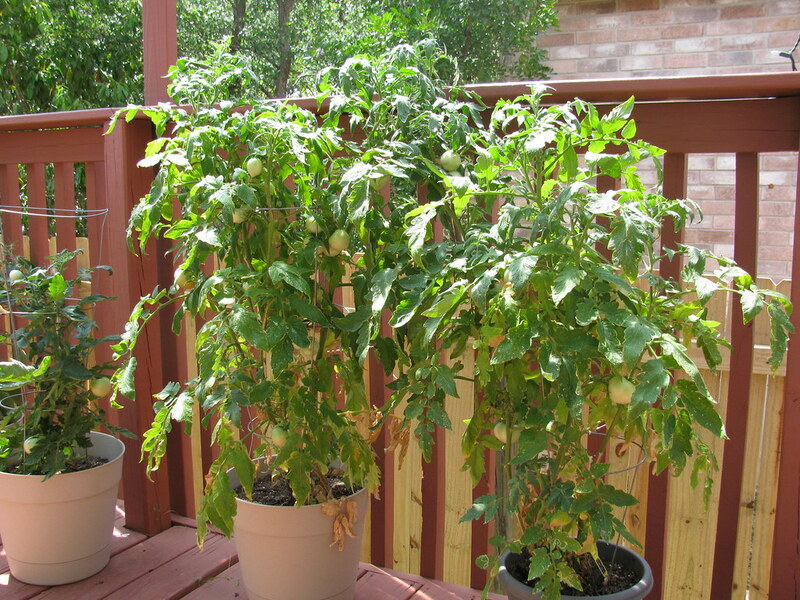 It looks like blossom end rot which may be a watering problem or a calcium problem. Since you can't do anything about the calcium (it's the plant and not the soil) I'm trying to water them more and hopefully this will solve the problem. 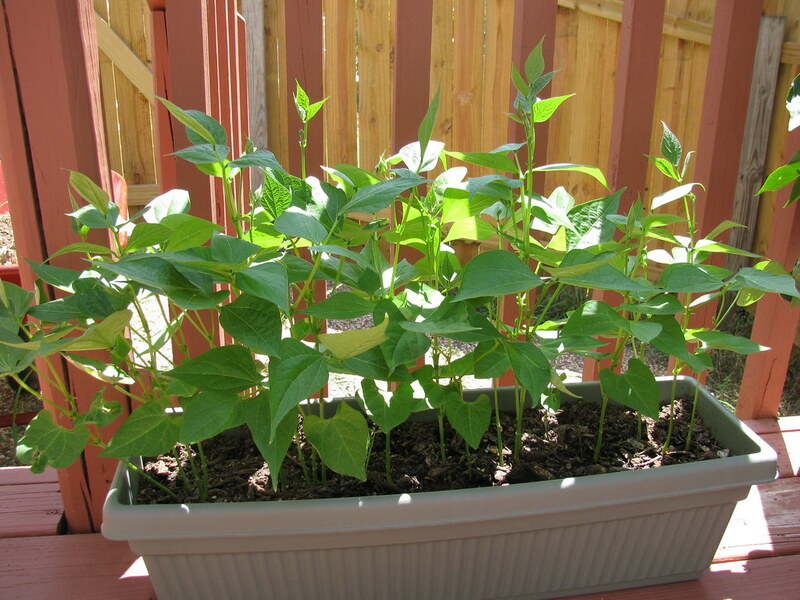 These are my green beans. I bought the bush kind rather than the pole kind. Hopefully they'll have some flowers soon. 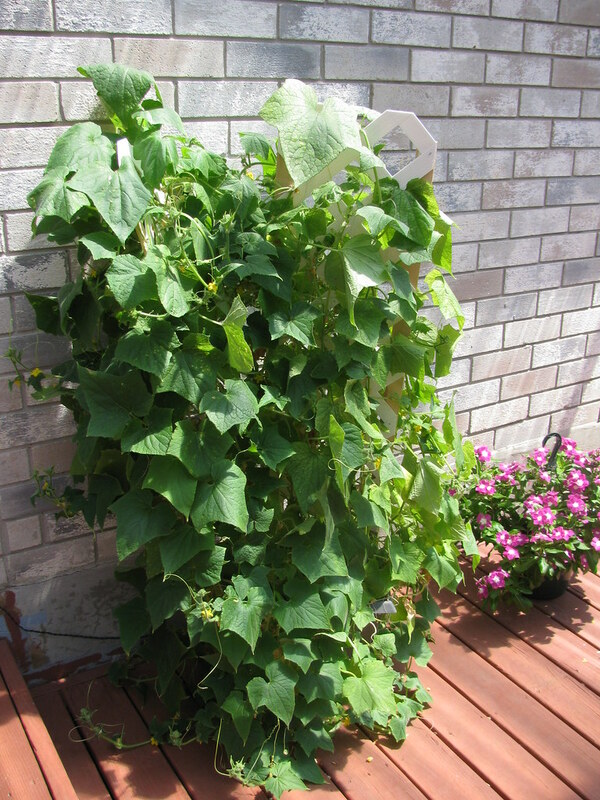 The cucumber plant has gotten huge. 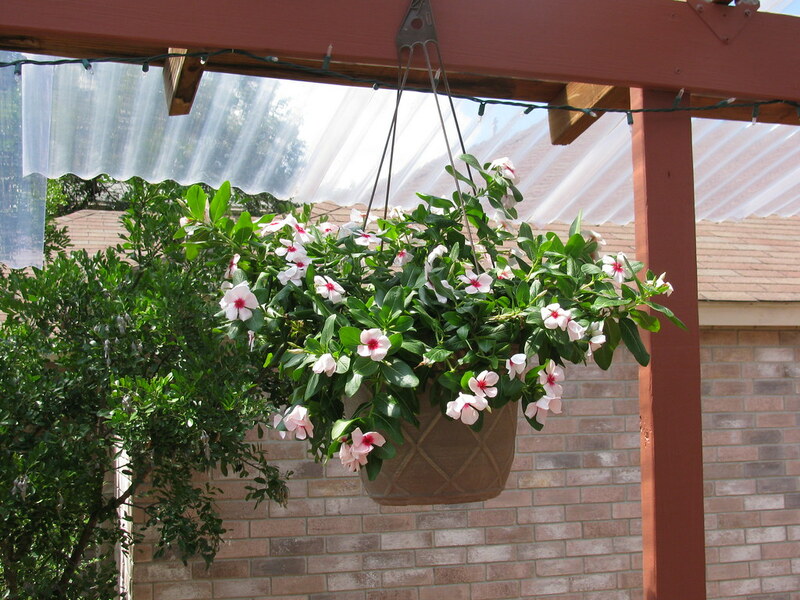 I bought these two hanging baskets of flowers to bring some more bees around. 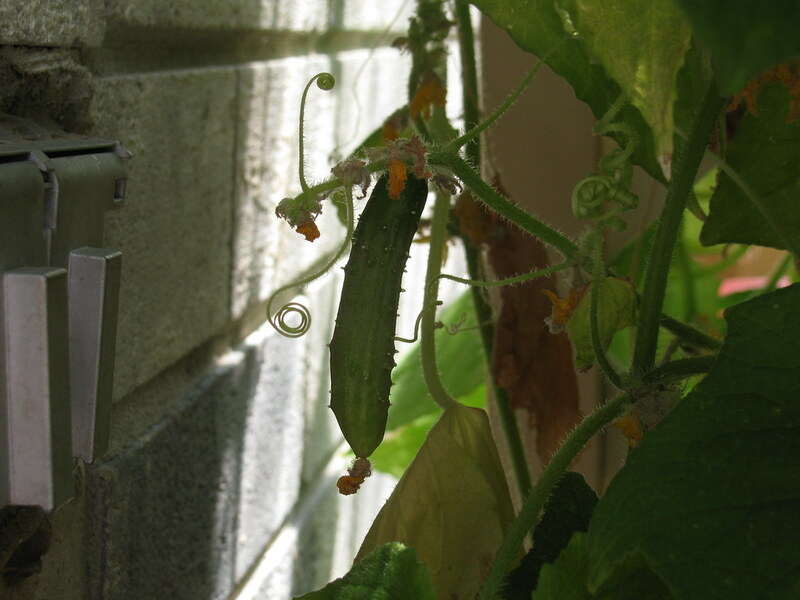 I think it's actually been working since I finally have some cucumbers growing. 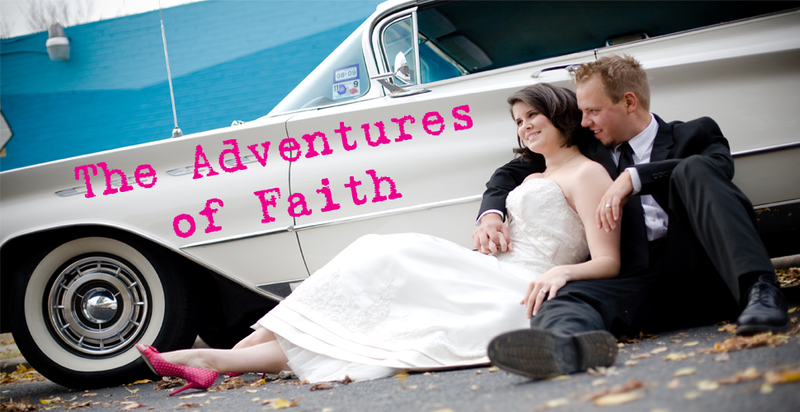 These two are kind of crooked. They may have been the ones that I hand pollinated which could be why they are misshapen. 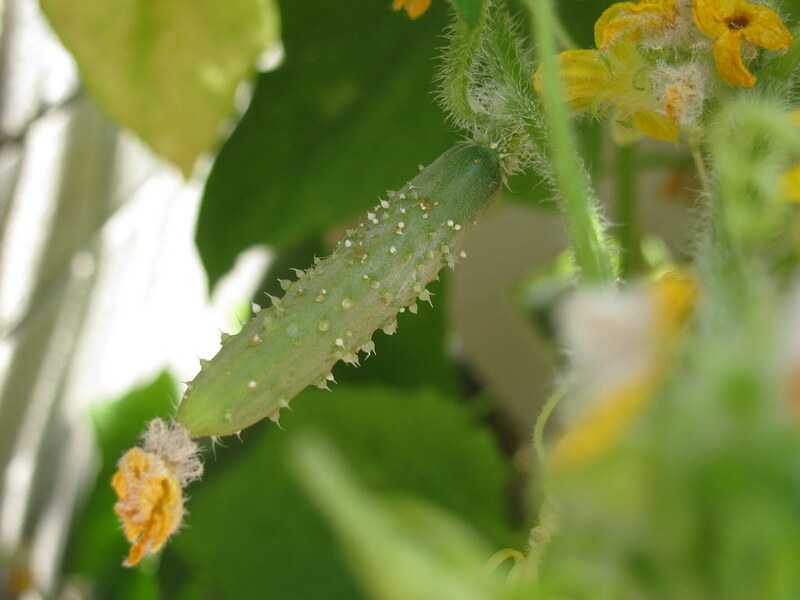 It could also be a water problem - cucumbers, at least mine, require TONS of water. I water them at least twice a day and sometimes 3 due to the 100 degree weather we've been having. They could also require even more water because they're in a container. I might get an even bigger one next year. I do have a few that are growing straight. Hopefully they'll stay that way. I love cucumbers! 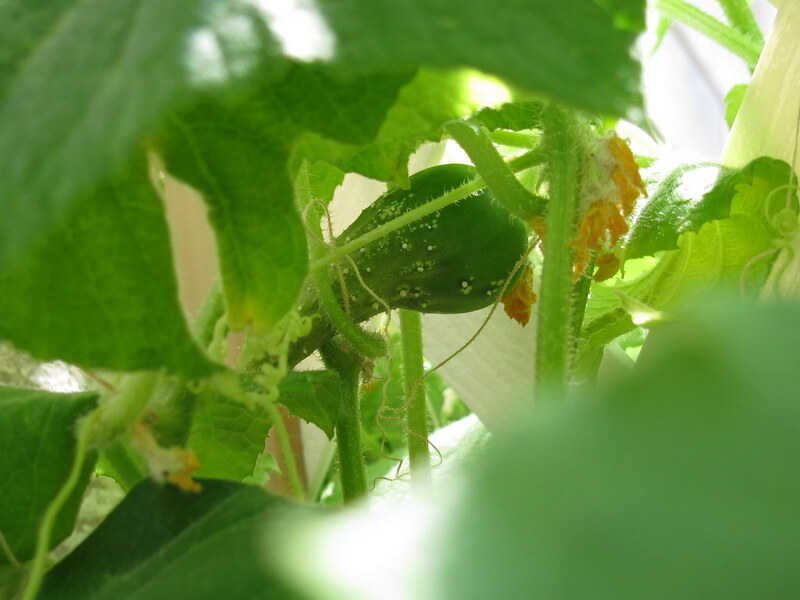 The only other problem with the cucumbers are these little bugs. 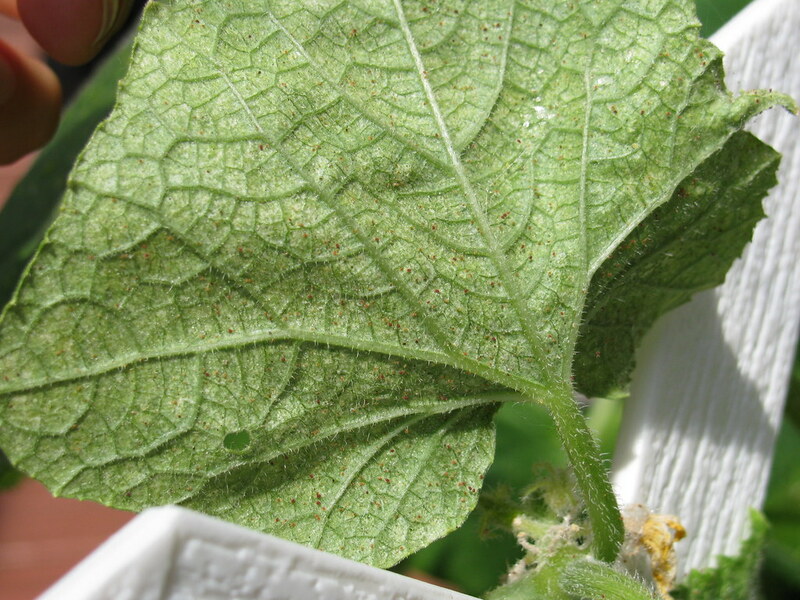 I think they may be spider mites. According to Google they're mostly resistant to insecticides (not that I'd use one) and most suggestions are to spray them down with water. I tried that today and think I got the majority of them, but it'll be an ongoing process, spraying every couple of days. Hopefully it works! I'm going out of town next week for a work conference in New Orleans. John will be in charge of the garden and I'm terrified! I've made him swear to me that he'll take care of the plants and check on them obsessively like I do. I'm so scared to leave them and am afraid they're all going to be dead when I get back. I've tuned into a crazy plant lady. Great. Everything looks great. 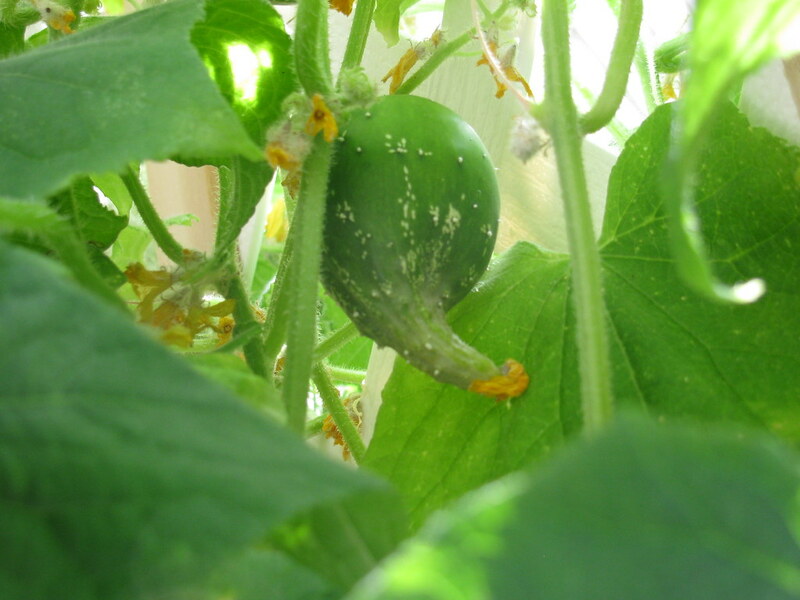 Your cukes are ginormous! For the spider mites, you can mix a little rubbing alcohol into the spray bottle with the water. I have a sunporch and had these guys on my citrus trees this winter. 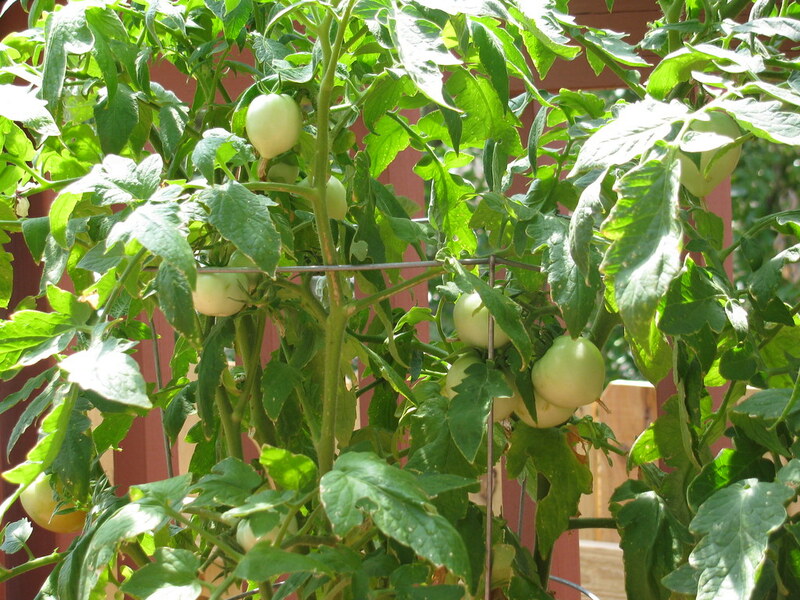 That took care of them, and no harmful insecticides! Wow... everything looks great! I wish I had the time to do that. I LOVE fresh stuff like that.